On the occasion of the 100th anniversary of the Scholl reaction. 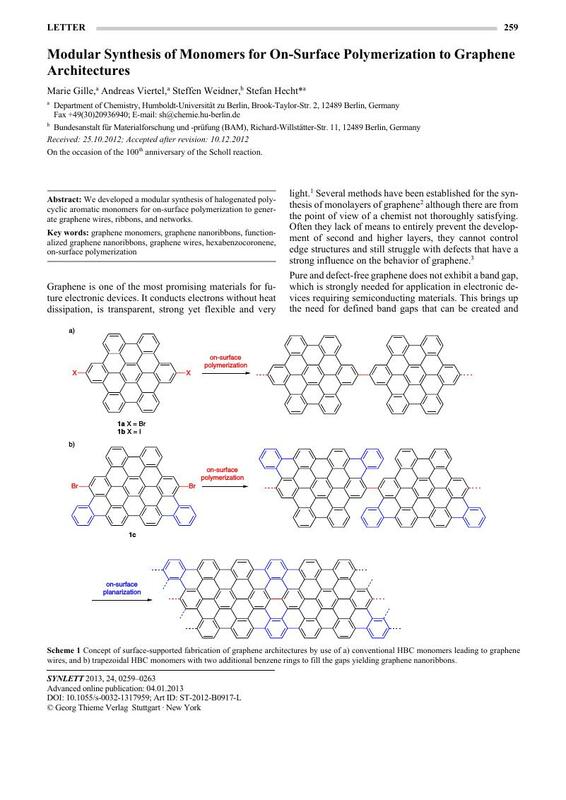 We developed a modular synthesis of halogenated polycyclic aromatic monomers for on-surface polymerization to generate graphene wires, ribbons, and networks. 16 In the final Scholl-type cyclodehydrogentation step trace amounts of partially/fully protiodehalogened byproducts were observed. 18 To be communicated elsewhere.